A leading foreign affairs official from the Solomon Islands government says it's now seeing a balanced picture on Indonesia's Papua region. The government is consulting with the provinces as it formulates an official position on West Papuan human rights and self-determination issues. Consultations follow a visit by a Solomons government-led delegation to Indonesia's provinces of Papua and West Papua at the invitation of Jakarta. 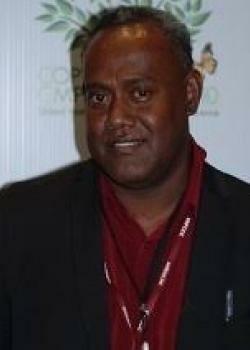 The Solomons' Special Secretary on Foreign Relations, Rence Sore, was one of the government officials in the delegation. He said the visit was aimed at achieving a balanced picture of what's going on in Papua. Rence Sore said that when they went to Papua region, the story was entirely different. He said that for now the government had yet to decide on its official position regarding West Papua and Papua provinces. The delegation's visit and resulting report were indications that the Solomon Islands government, under prime minister Rick Houenipwela, was approaching a different stand on Papua to that of the previous prime minister Manasseh Sogavare. Sogavare, who is now the deputy prime minister, campaigned internationally about West Papuan human rights issues. He was also supportive of the United Liberation Movement for West Papua, and instrumental in its admission to the Melanesian Spearhead Group in 2015. The Liberation Movement, which Indonesia's government opposes, last month voiced disappointment that it wasn't notified by Solomon Islands about the delegation's visit. Sore, who said his government consulted with Indonesian authorities for the visit, noted the Liberation Movement's strong connections with civil society organisations in Solomon Islands. “And to some extent, that strong connection also was with the previous Solomon Islands leadership, government, prime minister. “We went (to Indonesia) with authorisation from the current prime minister, and official authorities were notified. However, Sore would not be drawn on whether the Hou-led government had shifted position on Papua.